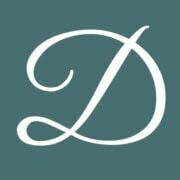 I am attorney Christine L. Dummer, and from my law office in Knoxville, Tennessee, I strive to deliver the highest level of representation and support possible to those throughout eastern Tennessee who are dealing with complex, emotional legal challenges involving their changing family dynamics. Focusing on all areas of family law, I have more than 20 years of experience representing the rights and interests of mothers, fathers, stepparents, grandparents and children during the divorce process, and I am one of only a handful of attorneys in the region certified in child welfare law. For more information on how I can best serve your needs in order to help you secure a brighter future for yourself and your loved ones, you can contact me, Christine L. Dummer, at my Knoxville law office by phone, email or through the online form located on my website to schedule a free initial consultation.